> LogMeIn > How can customer experience make a difference? Mobile operators are streamlining their operations by outsourcing management of network functions to vendors, while striking partnerships in the content space with over the top (oTT) specialists. As a result, they are repositioning themselves primarily as service organisations, and by excelling in the management of customer relationships they can maintain relevance and leverage in the value chain. One issue that many operators will need to address is the fact that the metrics traditionally used to measure success in customer satisfaction have been defined with the operator, rather than the customer, front of mind. 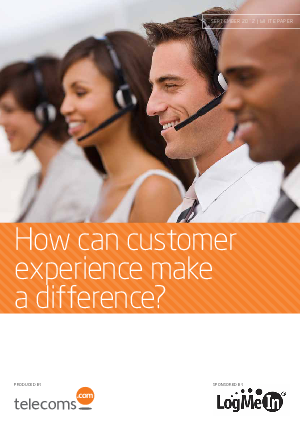 This has led the most forward-thinking operators to look for new ways of gauging the customer experience and the level of customer satisfaction. Learn how LogMeIn advocates the use of a 3 step strategy that enables them to better tailor customers' needs.